Umpires have biases. And we want them to. To illustrate that, I want to talk about two pitches from the Cleveland series. Not two pitchers, mind you – just two pitches. Seriously. But first I want to talk about a book, then how it changed how I watched baseball forever, and finally about why I flew into a rage on Wednesday night. The book is called Scorecasting by Tobias J Moskowitz and L. Jon Weerthem. It looks like it’s similar to the book Freakonomics, except that it focuses exclusively on sports. I say “seems” because I haven’t read it yet, at least not completely. However, if you have an iPad or iPhone, you can download the first chapter for free – and just that much has changed forever how I watch baseball. Most parents opted to NOT to vaccinate their child, despite it halving the chances of their child dying. The thought of doing something to the child which would cause his or her death was worse than the though of doing nothing and doubling the chances of death. The same bias is statistically apparent in umpires when it comes to calling balls and strikes and now I can’t help but notice it. In 2007, mlb.com installed the pitch f/x equipment in all the ballparks, providing data on 2 million pitches, including 1.15 million called pitches. Suddenly we could see from data how accurate umpires were in calling balls and strikes, and whether there are any circumstances that made them less accurate. It turns out there are. A ball that is in the strike zone is called accurately by an umpire 80.2% of the time. But that number dives if there are two strikes on the batter (and it isn’t a full count). Then, a ball in the strike zone is called a strike just 61.3% of the time. He’s almost twice as likely to mistakenly count a strike as a ball. Again, don’t forget – we KNOW that these are really strikes from the f/x data. The same thing happens the other way on pitches outside the strike zone on three-ball counts, though it’s not quite so drastic. A pitch outside the strike zone is called a ball 87.8% of the time, but if there are three balls (and it’s not a full count) it’s only called a ball 84% of the time. The reason? Because calling strike three or ball four ends the at-bat. It’s active – it affects the game far more than giving the batter and pitcher another pitch to resolve the at-bat themselves. The incentive is toward the error of omission rather than that of commission. Incidentally, this is most apparent on borderline pitches. Over all counts, a borderline is called a strike 49.9% of the time – almost literally a coin flip. But with a 2-strike count (again not a full count) it’s called a strike just 38.2% of the time. And with a three ball count, it’s called a strike 60% of the time. The percentages become even more extreme on 3-0 and 0-2 counts. So yesterday, in the bottom of the tenth, I completely understood the call I saw. Holding a 3-2 lead, Twins pitcher Phil Dumatrait was trying to get the first save of his career. It wasn’t going to be easy. There were two outs, but a runner was on second base, and Shin-Soo Choo had worked a 3-1 count. The next pitch was a fastball, right on the inside edge of the strikezone. It could have gone either way, but I never doubted which way it would be called given what was at stake. Sure enough, it was strike two. The at-bat was decided by the players on the next pitch. Shoo grounded out to first base. That study has made me anticipate called pitches and at-bats in a different way, usually bringing a level of peace to what I saw. It had the opposite effect on Tuesday night. In many ways, it was the exact same situation. This time the Indians led by one in the top of the ninth and had two outs. But the Twins had a runner on second base and Michael Cuddyer was trying to drive him in. I should also mention that isn’t a terrible situation for a baseball team. Historically, a team in that situation has still won almost 11% of their games. That’s the kind of hope that can make a fan slide forward in their seats a bit. But there was one critical difference: the count was 2-2, not 3-1. Indians closer Chris Perez threw a fastball in a very similar place that Dumatrait would a day later, though maybe a touch more outside the zone when looking at the f/x placement. Cuddyer took the pitch, confident it was outside. But home plate umpire Adrian Johnson punched him out, ending the game. Cuddyer’s reaction was telling. He exploded. It’s rare to see any Twin confront an umpire. I don’t think I’ve ever seen Cuddyer, of all people, get frontal with an ump. But this time he nearly pounced on him, reacting so aggressively that the Cleveland announcers thought he might have bumped him. It took two coaches to hold him back when Johnson tried to walk away. Watching on my bedroom TV, I was going nearly as ballistic. It’s one thing to make a bad call. But to make a bad call that didn’t need to be made, that could have been avoided so the players could resolve the game instead? This may be a bias that we, as fans, want to reward. For the first time, I thought about whether or not I really want to take that kind of call out of an umpire’s hands. Don’t we want someone who prompts the batter and pitcher to resolve their conflicts themselves? Even if it might not be a perfectly accurate call. Interesting stuff in that I think it tends to reinforce statistically what most of us inherently suspect about umpire tendencies. But as for wondering what we would want umpires to do, I may be as "old school" as anyone, but what I want is for the call to be RIGHT as often as possible. That's why I'm in the significant minority who would shed no tears whatsoever if reliable technology that got calls (including ball/strike calls) right more often would actually replace umpires. Pitchers, catchers and hitters would all adjust to the consistency because they wouldn't have to test an umpire's zone for the first few innings of every game. They'd learn the zone and it would be something reliable. No... I'll never live to see it happen. They always tell you in Little League, when you have two strikes, you can't be standing there with the bat on your shoulder if the pitch is close to the plate. You point out that borderline pitches, overall, are basically a coin flip. If the batter doesn't swing, he's just gambling on the umpire's whim. And even if the chances of a strike being called on the corner tilts to 38% with 2 strikes & less than 3 balls in the count, there's still a significant chance that the umpire won't see it the batter's way. The ump might very well think that the pitcher threw a perfect pitch in a critical, high-pressure spot, and want to reward him for it. Jim - Unfortunately, the key word is "reliable" technology. Technology will never be 100% reliable, and getting players and fans to agree to deal with the occasional malfunction might be a hard sell. A live ball/strike calling machine would have more potential for software error than the camera/replay systems used in other sports, which still ultimately rely on human judgement. What if the ball/strike machine was off by a couple inches for an inning? Do you replay the inning? What if the system crashes during a playoff game? Do you bring in a human ump? On the idea of replacing umpires with a machine. I think one of the attractions of baseball is that it is a human game, played by humans. That includes the umpires. If we want a test of pitchers and hitters then we could use machines for both. The pitchers would all face the same machine opponent and the hitters the same machine pitcher. We wouldn't have all these messy variables human interaction create to muddy up the evaluation of who is the better player. Adjusting to umpires, including fooling them, is part of the game. I like that fact. What I would find interesting is whether the data shows any difference between catchers in what calls the pitcher gets. Catchers attempt to frame the pitch so they get the call, are some more successful than others? TT also brings up something interesting, which I've been wondering about since a comment I saw from an ex-player TV analyst (I think it was on espn.com, but of course now I can't find it). He was talking about how the Twins needed Joe Mauer back. He said that besides Mauer's more obvious contributions, umpires had told him that Mauer gives them the best view of the plate of any catcher in baseball, and pitchers thus get more calls when Mauer's catching. I'd be interested to hear more about that kind of thing. Sports fans/geeks who can laugh at themselves should note this recent comic: http://xkcd.com/904/ (if you're not familiar, this strip always has a mouse-over text). I have also moved into the 'use available technology camp' instead of umpires. While I understand TT's point about the game being human, it is a game I watch for MY team and it's players. To see how they match up against this other team and their players. No where in my thought process for any game in my life have I thought, oh I wonder who is umpiring this game and how that will affect the outcome. There is nothing worse than an umpire totally blowing a call (Joe Mauer's double in the playoffs) which dictates the outcome. I want to see which team is better, not which team gets the most breaks from the umps. To appease the umpires union, I would keep them all there on the field making the calls, but have instant reply available for fair/foul balls and close plays and have a the umpire behind the plate notified if it's a ball or strike with some sort of system (buzzer, iPad, whatever). 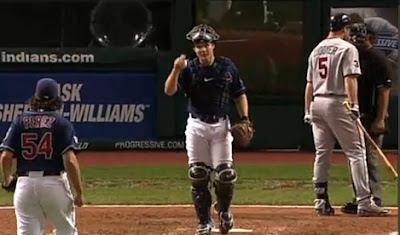 Home plate umpires should have a device in their mask that shows them the pitch f/x results so if a pitch is borderline, they can wait a split second for confirmation. Just to reinforce their judgement. It would make their job easier and the results more accurate. It's stupid to prefer incorrect over correct for some poetic or nastalgic nonsense. They should also have an ump in the booth who has access to replay. When the umps confer with each other on the field to discuss a close call, the ump in the booth can communicate with them via earpiece to tell them what the replay says. The technology is available, it's stupid not to use it. Personally I think the example of a vacination and the survival rate is weak at best. What is omitted by the example is people's fears that since a vacine is human made that humans make mistakes. The question shouldn't be, is a drop of 50% worth doing, the question should be should the decrease from 0.1% to .05% worth injecting my child with a human made substance. In this case, I'll take my chances with nature. Yeah, I'm not buying the "it's all part of being a game played by humans" argument at all. Whether as a fan, a player, or even during phases of my life where I umpired as an avocation, I never felt the fact that umpires are human and prone to human mistakes was an endearing part of the game. This is particularly true at the MLB level where so many of the umpires seem so arrogant that they actually take pride in their imperfection! You could show those guys PitchFX charts until their eyes bled, but they would never admit that the "machine" was right and their own perceived strike zone was wrong. And yes, they clearly do enjoy going out of their way to screw certain people/teams at times. That should never be written off as "part of the game". Here's the problem with any technology solution to calling balls and strikes. You have a minimum of 18 different batters during the game (9 for each side). The strike zone in baseball is a variable target there are at least 18 different ones in any game. Any system that is going to call balls and strikes has to take that into account. The human brain, with all it's foibles, is still the best option for adjusting to the multitude of strike zones in each game. The strike zone in baseball is a variable target there are at least 18 different ones in any game. You really think that's an insurmountable problem? It would be pretty easy to account for that. But even if you couldn't, you still have the umpire making the call - he just has another tool to help get the call right. I feel like I have always noticed umpires do things like this--and I think the this is the "human element" of the game anti-technology people like me are referring to. I think it makes the game more interesting to watch. ", I never felt the fact that umpires are human and prone to human mistakes was an endearing part of the game. " How endearing is a game prone to machine errors? The idea that the "machine is right" is easier for some people to believe, but it isn't really true. As for the strike zone. Why should different hitters have different strike zones? I don't go to the game to see some guy crouching like Rickie Henderson to make his strike zone smaller. If we are going to use machines to call balls and strikes they should just define the strike zone as a fixed area and let hitters adapt any way they can. And yes, that is slightly facetious. But if you are trying to engineer things to prevent differences in results, that is exactly where the logic takes you. You also eliminate variations in field layout, width of foul areas and the height of fences. None of these are part of who the better team is either. And. frankly, I don't care who the better team is. I just want the Twins to win whether they are better or not. Making it easier to calculate the "better team" with a spreadsheet by eliminating all the random differences holds no interest at all. So we want to use umpires, not machines, but we want umpires to be fair... and accurate. That about it? Fine... Tell their union that you're imposing a compensation system that pays umpires who, upon review by replays and PitchFX, are the most accurate... regardless of the count or the home/away team or any of these other variables... more money than the guys who are ultimately proven to be wrong the most. Do it with pay or bonuses or playoff work or whatever... but you won't get umpires changing how they call balls/strikes, no matter what you TELL them to do, until they feel their mistakes in their pockets. In fact, if they fall below certain levels of accuracy, they should get sent to AAA, just like the players who perform poorly do. "upon review by replays and PitchFX,"
Why exactly do you think either one is relevant? The umpires job is to provide a level playing field for the two teams. That means calling the same pitch a strike for both teams. You want to see frustrated pitchers and hitters, have the umpire call the same pitch a ball one time and a strike the next time. If you ring up one batter on a pitch just off the plate, you better ring up the next batter on the same pitch. Making those kinds of adjustments, for both hitters and pitchers, is part of the game. I see no reason to change it and plenty of reason not to. At least not in the name of some sterile claim of consistency premised on the notion that a machine is infallible. And just to make it clear. Having a strike zone that was always exactly the same would certainly make it easier for both pitchers and hitters. But being able to adjust to different strike zones is part of the game. Even if you can successfully create exactly identical strike zones for every game, why would you want that any more than you want every stadium to have the same dimensions? At least not in the name of some sterile claim of consistency premised on the notion that a machine is infallible. Machines are less fallible than humans. But being able to adjust to different strike zones is part of the game. Only because the technology hasn't always been available. If you want to argue that bad calls from umpires makes games more interesting, that's fine. I'll sacrifice the calls that incorrectly go for the Twins if it means fewer calls that go incorrectly against the Twins. But to say "a machine can fail so you shouldn't use machines" is a bad argument. Humans fail. More often than machines. Adjusting to a consistent flaw should not be a part of the game if you can help it. "The umpires job is to provide a level playing field for the two teams." See... there's the problem. Because ever since I learned the game, I've been led to believe the umpires' job was to enforce the rules. You know, those rules that establish what the strike zone is. And to make clear, in my last post, I wasn't suggesting each call be IMMEDIATELY reviewed. But once games are complete, there's nothing stopping MLB from "grading" the umpires based on technology that is FAR less imperfect than umpires' whims. "Because ever since I learned the game, I've been led to believe the umpires' job was to enforce the rules." Calling balls and strikes really has nothing to do with "enforcing the rules" any more than calling a runner safe or out. That's why these are judgment calls. No there isn't. Your anti-union diatribe not withstanding. Calling balls and strikes really has nothing to do with "enforcing the rules"
Huh? The strike zone is defined in a little thing we like to call the "rule" book. FTR, I'm pretty sure MLB is already grading umpires strike zones based on technology. The MLB umpire union has already been broken once... the league could impose anything they wanted on that joke of a union. If some umpires don't like being held accountable for enforcing the strike zone as it is written IN THE RULE BOOK, they can walk out... and keep in mind how well that worked out for the last group of umpires that tried that. And yes, the strike zone is defined in the rule book... not the near-empty mind of Joe West and his buddies. Chief, I'm sure umpires are being evaluated using technology, but until MLB takes money out of their pocket based on those evaluations, it's meaningless. There seems to be some confusion between applying the rules and enforcing them. The rule book says if the umpire calls it a strike, its a strike and if he calls it a ball its a ball. And if you argue about it, you will get thrown out of the game. Throwing someone out for arguing balls and strikes is "enforcement". Calling balls and strikes is deciding what rule applies in this situation - ball or strike. So do any umpires uphold, sustain, maintain, espouse, endorse, implement, administer, or carry out the rules? "So do any umpires uphold, sustain, maintain, espouse, endorse, implement, administer, or carry out the rules?" Where the strike zone rule is concerned, no... they seem to pretty much make it up as they go along and, going back to Geek's original post, it tends to vary widely depending on the count, who the home team is... maybe whether they've got a dinner date to get to... or just whether the hitter or pitcher has offended them in some manner in the past. But hey, that's ok... they're just being human, after all, and that's what we want, I guess. This is not a semantic argument. Umpires use judgment in applying the rules. That's their job. And because they use judgment, the results will not be precisely the same every time. And there is nothing wrong with that. I'm confused. Are there two (or more?) people posting as TT here? 1. "The umpires job is to provide a level playing field for the two teams." 2. "That means calling the same pitch a strike for both teams." "Even if you can successfully create exactly identical strike zones for every game, why would you want that?" Never mind why I would want that. Why wouldn't you want that? Didn't you just tell us that consistent strike zones (e.g. calling the same pitch a strike for both teams) provide level playing fields, and "the umpires job is to provide a level playing field for both teams"? "But if you are trying to engineer things to prevent differences in results, that is exactly where the logic takes you. You also eliminate variations in field layout, width of foul areas and the height of fences. None of these are part of who the better team is either." This is a straw man. No one here wants to engineer things to prevent differences in results (e.g. so that every game has the same outcome). They want to engineer a reduction in strike zone variance within a game, which is to say they want technology to help the umpires do what the first TT demands of them: Call the same pitch a strike for both teams. The variance between stadium layouts is so irrelevant to this discussion as to possibly be the musings of a fourth TT who suffers from dementia. The height of fences remain a constant within a game, meaning within each contest there is no variance there at all. Calling the same pitch a ball for one team and a strike for another creates (by the first TT's admission) a field-tilting effect. TTs: It might help us here if you preface further comments here with something like "This is TT the First" so we know who to address our responses to. Umpires use 'judgement' in determining whether a runner would have scored on fan interference. Umpires use judgement in determining whether rain is making the field unplayable. That's judgement. THAT's their job, as defined in the rules. Conversely, balls and strikes are defined explicitely in the rule book. Determining the strike zone is most certainly NOT the umpires job. That job's already been done.
" Didn't you just tell us that consistent strike zones (e.g. calling the same pitch a strike for both teams) provide level playing fields, and "the umpires job is to provide a level playing field for both teams"?" Yes, and there is NOTHING inconsistent about the two statements. Both teams in a game and the same in every game are entirely different questions. And, as a practical matter, you can't do both. Because if the umpire uses some abstract strike zone throughout the game there are going to be a lot more pitches where he decides its a strike one time and a ball the next than if he is comparing the pitch to his previous calls in that game. In fact, you can almost count on borderline pitches being 50-50. The only question is how wide that border of inconsistency is. It makes a lot more sense for the umpire to say, "I called that same pitch a strike earlier, its going to be a strike this time as well." Its more important to be consistent within the game than consistent from game to game.
" Why wouldn't you want that? " Because adjusting to strike zones has been part of the game for over 100 years. Using technology to simplify the game does not seem like a great idea to me. No one has suggested the "umpire determines the strike zone", that is making the rules and that rule has changed from time to time. What the umpire does is apply the rules, whether its calling a runner out a ball fair or balls/strikes. Its plain silly to argue there is no judgment involved in doing that. Hitters don't always agree on whether it is a ball or strike either. This discussion is really about using technology to eliminate that judgment from the game. But don't believe for a second that when pitchers, hitters and catchers no longer have to adapt to the strike zone it won't change the game. It will. Players whose skill in adjusting makes them successful will lose that edge and players who go up to the plate with the same approach every time will be helped. In many respects its part of a tendency to want the game played by robots so that it is more predictable. Yes, and there is NOTHING inconsistent about the two statements. Uh...that wasn't the inconsistent part, TT. As you well know. "Uh...that wasn't the inconsistent part, TT. As you well know." No, I don't know that. There is nothing inconsistent in any of the statements you quote. "Yes, and there is NOTHING inconsistent about the two statements. Both teams in a game and the same in every game are entirely different questions." Which addressed is the ONLY thing I can figure out you were talking about. Like I said, nice dodge. It's either that, or you're incapable of comprehending English. "No, I don't know that. There is nothing inconsistent in any of the statements you quote." Right. That's what I said. I thought you just agreed that there was nothing inconsistent about the statements you quoted. But this appears to be a statement you quoted above. In any case there is nothing inconsistent between any of the statements I made, whether you quoted them or not. Umpires try to create a consistent strike zone for both teams within a game. That is not at all the same as trying to create the same strike zone for every game. In fact, the latter is probably counter-productive. Because if the umpire uses some abstract strike zone throughout the game there are going to be a lot more pitches where he decides its a strike one time and a ball the next than if he is comparing the pitch to his previous calls in that game. Couldn't he just, oh, I don't know, compare the pitch to the strike zone as determined in the rule book? You're the best, TT. You've been shown to be inconsistent, argumentative, and flat out wrong in this thread, but you soldier on. Never retreat, never admit your own nonsensical rantings, never actually argue the points at hand. Quite impressive, actually, in a "that's incredible" sort of way. "Couldn't he just, oh, I don't know, compare the pitch to the strike zone as determined in the rule book?" Sure, so could the hitters. Then there would be no walks or called strike outs. But, since we are dealing withe snap judgments of a pitch thrown at 75-100 mph by imperfect humans, its unlikely that will ever happen. So when an umpire gets fooled by a Bert Blyleven curve, should they call the next identical pitch correctly? Or should they call it the same as the first time? And what if, like a lot of hitters, they often get fooled by that Blyleven curve but not the opposing pitcher's curve ball in the same location. Should the umpire call them both strikes, or give Blyleven the strike while calling the opponents pitch a ball? That, of course, is the argument for a machine calling the pitches. It won't get fooled. It will be right every time. The batter can create a strike zone and know exactly which pitches will be called strikes or balls. He can practice his recognition with a pitching machine and an umpire machine. Only the pitcher has to adapt to the various player's strike zones. That originally said "so could the pitchers and hitters", but then I realized the pitcher not only has recognize the strike zone but execute the pitch. So they would still walk people even with perfect recognition.